Imagination is your power to go beyond the known and the unknown to create your utopia. Artist Paul Gauguin stated, “I shut my eyes in order to see.” It’s lamentable that our focus is always on what exists rather than on what could exist. 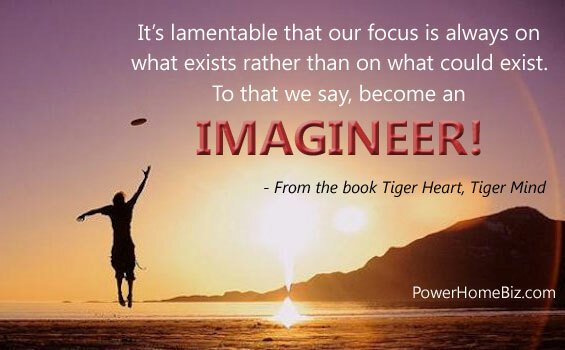 To that we say, become an imagineer! Pay attention to your imagination, intuition, insight, and inspiration, the flashes that come from out of whatever divine blue, for this is the stuff that dreams are made of. Be alert and sensitive to the finite notes that strike a chord and rock you. Listen to it. Grab hold of it. Shake it and see what falls out. Then, and this is paramount, quickly write it down before it shifts, alters, and goes thud, never to return. Francis Bacon advocated, “A man would do well to carry a pencil in his pocket, and write down the thoughts of the moment.” Splendid advice, since the spark of one idea gives birth to another, which in turn creates another idea that can support, enhance, and empower actions that help materialize the idea into a reality. That’s the magic of awareness. Ideas have a wonderful symmetry. You embrace an idea because you need an idea and because it needs you. With this very much in mind, keep a notebook handy at all times. Or a legal pad. Or a day planner. Or 3×5 cards. A microcassette, digital recorder, or text messager. If you have a handheld computer, good for you. I have one but found that the lunatic thing works me more than I can work it. Not important. What is important is that you provide a space for ideas to land when they come around circling. Because an idea is a thing with feathers. They can fly away as easily as they come, never to revisit you again. What enlivens and excites can be momentary and ephemeral, if it is not acted upon. Take this on faith, when God in all Her wisdom decides to provide you with creative unfoldment, do not let it get away. Get it down. Record it before it leaves you. Aside: Rolling Stone and crypt kicker, rock god Keith Richards wrote the forever famous guitar riff for “Satisfaction” after waking up in the middle of the night in a hotel room. When he crawled out of bed the next afternoon, he had forgotten he’d written a song until he played his cassette recorder later that day and heard himself muttering the now rock-classic tune. End of aside. The point to be polished here is that even if you have an elephant’s memory, by writing down your idea, and this is crucial, you create its existence in tangible form. You can see it, feel its charge of energy, and go back to it again later to review and consider if it still excites and fills you with positive feelings and purpose, because, in time, some ideas stiffen, while some remain such wonders the next time and the time after the next time. Keep an idea log. Maybe it’s a journal or whatever name you honor it with, do not deprive yourself of this vital instrument of manifestation. An idea log is a powerful tool to assist you in building the foundation and framework for empowering your dream. And if this seems like some off-the-wall suggestion, know that museums, universities, and private collections the world over, house the imaginative jottings of Archimedes, Michelangelo, da Vinci, Copernicus, Picasso, the Wright brothers, and Einstein, just to name hardly any. Truth to know is that there exists a lengthy written trail of providential bursts, cultivated revelations penned by the hand of their creative greats. Tangible reminders of ideas recorded to ensure that they didn’t get lost in the tumult of daily events. No wonder that since 1978, the Smithsonian and Rutgers University have been hard at work archiving the over 5 million pages of ideas, notes, and other papers that Thomas Edison left behind. Fortunately for our hyper-inattentive world, Edison knew that a sharp mind deserves a sharp pencil. So when you luck into an idea, write it down. That’s the best basic advice for empowering your dream. Keeping an idea log is, at once, a very important way of knotting together action and reaction. A process for allowing connectives to click, which can bring into form ideas that can create energy, thoughts that can lead to actions, dreams that can turn into living realities. An idea log is, in sweet reality, a portfolio of possibilities. When geeky Billy Gates began to visualize the software that would change the daily revolving of the world, he made his mark, pressing pencil to paper, recording his bright efforts, delivering destiny. William Wordsworth said, “Fill your paper with the beating of your heart.” Giving your idea a palpable presence is the very first step in looking at what wants to be looked at, transforming it from a flash of mental energy into a charge of physical energy. You will find it amazing, fascinating, reassuring, and absolutely faith-building when you begin to document and keep track of how many good ideas you have. Imagine the unimagined, ideas come from a new way of thinking. 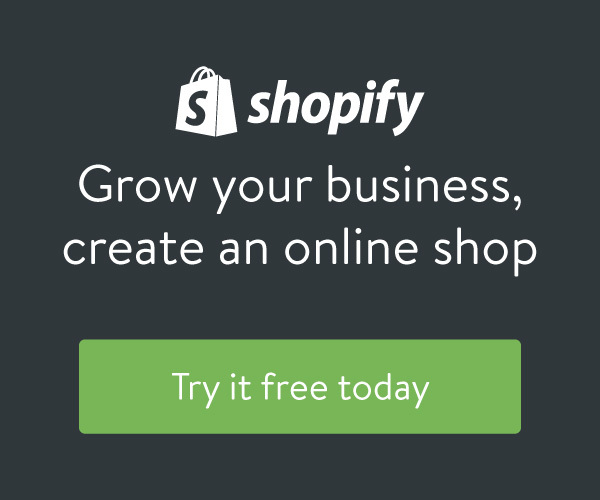 Excerpted from Tiger Heart, Tiger Mind: How To Empower Your Dream: A Zentrepreneur’s Guide (Zentrepreneur Guides) by Ron Rubin and Stuart Avery Gold Copyright © 2004 by Ron Rubin and Stuart Avery Gold. Reprinted with permission of Newmarket Press.